[0:31] <trohrt> How can I connect to an open wifi network with my pi? I started using it for school and I don't know how to connect with their network. [0:40] <hesperaux> is it possible to use any sort of DMA for SPI on the pi? [0:44] <Squarepy> trohrt, you the pi is not wireless able out of the box? [0:44] <Squarepy> hakkie en takkie? [0:46] <Demon_Jester> Hey guys, does anyone know what quadcopters that can carry raspberry pi, and power bank? [0:46] <takkie> Demon_Jester: hang on, i've got one but need to look it up. [0:47] <Demon_Jester> takkie: Thanks. all I am finding is quadcopters ran from raspberry pi. [0:56] <Demon_Jester> the model of the quadcopter? [0:58] <Demon_Jester> hold on i will see if i can get a hold of him. [1:04] <takkie> or make it change it's battery packs atonomously, that would be sweet. [1:06] <takkie> with magnetic fields, sure. [1:08] <takkie> ow man, the possibilities. [1:09] <takkie> lol, i thought amazon delivering packages was out there, getting taco's delivered is the line. [5:03] <[Saint]> Ok Internet - I know I have a fat pipe - but, you're lying. [5:03] <[Saint]> You're just plain lying. [5:03] <[Saint]> No matter what you say, Chrome. [5:07] <[Saint]> But the file is there...and the sum is intact. [5:07] <[Saint]> What is this craziness? [5:18] <[Saint]> This is how we learn. [5:20] <AbbyTheRat> all that aside..
[5:20] <AbbyTheRat> giving the tools I have..
[5:20] <AbbyTheRat> it's the best I've done so far >_<!!! [6:42] <warsh> has anyone used a RPi to control more then 20 servos? [6:48] <[Saint]> swiss: I had absolutely no idea that Chrome was doing this type of optimization. [6:49] <[Saint]> It seems like a bit of a gamble to pull in a 1GB+ file on the offchance I might want it because the link is on the page. [6:51] <[Saint]> The voice recognition is absolutely useless save for American English, unless you turn on personalized recognition and ship off your contacts list (which I found weird, since they have my contacts lists anyway...). [6:51] <[Saint]> Until personalized recognition was a thing, Google would maybe get right perhaps 1/5 words. [6:52] <[Saint]> I'm a country? Awesome. [6:53] <[Saint]> I've been called worse. [7:56] <xreal> Funny, I can't login to my RaspBMC using SSH. 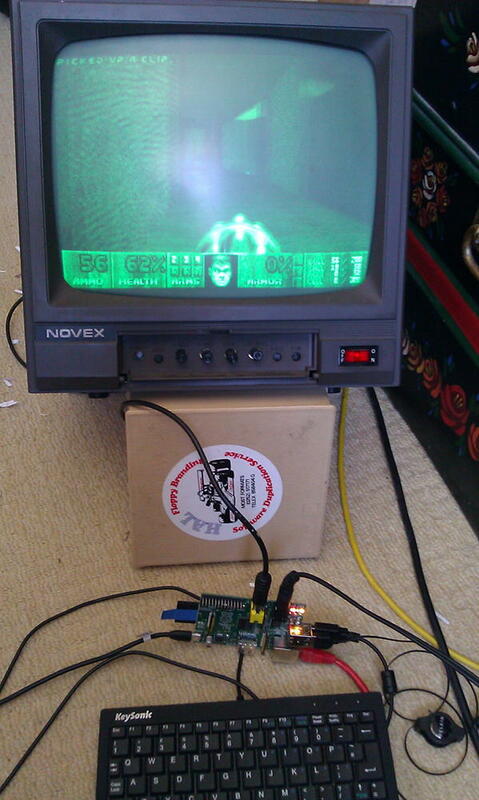 "pi:raspberry" works from Terminal when XBMC has been existed. But ssh seems to be blocked by a script: "Access denied!" [8:07] <AbbyTheRat> you mean exited? or while XBMC is still running? [8:08] <xreal> AbbyTheRat: I'm in VNC terminal after pressing the XMBC power off button. [8:09] <AbbyTheRat> maybe it'll use less CPU? [8:10] <xreal> I don't have a clue, why ssh doesn't work. [8:10] <xreal> but ssh says "Access denied". [8:10] <AbbyTheRat> check your ports on pi, and is ssh services running? [8:11] <xreal> The funny thing: this is a fresh installation. [8:11] <xreal> It worked 12 hours ago. [8:11] <xreal> 9 hours ago, ssh disappeard. [8:11] <AbbyTheRat> and reboot proved unsuccessful? [8:12] <AbbyTheRat> did you make any changes before hand? [8:12] <xreal> I've activated VNC in XMBC. [8:12] <AbbyTheRat> and now you can't disable VNC because you lost SSH? [8:13] <AbbyTheRat> did you give VNC it own password? [8:13] <xreal> AbbyTheRat: No, I can disable VNC of course. And no password. [8:13] <AbbyTheRat> try pi with out password? [8:14] <AbbyTheRat> you can't get access to the pi to slap a mointor/keyboard on? [8:14] <AbbyTheRat> cause I was wondering.. is VNC stopping use of SSH.. for whatever reason..
[8:15] <xreal> I don't have a HDMI monitor (only my flatscreen TV), but no USB keyboard. I love PS/2 keyboards. [8:16] <AbbyTheRat> have you looked in it? [8:16] <xreal> Nope, PS/2 motherboards are better. [8:16] <xreal> AbbyTheRat: It's hard to work in a small vnc window. [8:16] <xreal> hmm, I've got an idea. [8:18] <xreal> do you know, where paths "pi" and "devices" are located? [8:18] <xreal> found the folder! [8:21] <napos> xreal, just out of interest, why are ps/2 keyboards better? [8:22] <xreal> where is it? [8:24] <AbbyTheRat> no-idea.. - This file provides defaults for # users, and the values can be changed in per-user configuration files # or on the command line. [8:33] <[Saint]> password re-use also isn't necessarily problematic in itself - if backed by 2-factor auth. [8:34] <[Saint]> Doesn't really matter what the password is if you have to generate additional magic at login time that only you can generate. [8:35] <[Saint]> Twitter, Facebook, ssh. [8:36] <[Saint]> Odd. I hand off code generation to Google Authenticator. [8:36] <[Saint]> Which is all wwell and good if you have service. [8:36] <[Saint]> Google Authenticator works offline, though. Just sayin. [8:37] <[Saint]> Google Authenticator generates all my keys for me, phone is well secured - so meh. [8:38] <[Saint]> Most applications are capable of detecting Google Authenticator and allowing it to generate auth codes. Facebook and Twitter are notable examples iirc. [8:39] <[Saint]> As well as the libpam google auth ssh plugin. [8:39] <[Saint]> Errr, sorry. No, the latter doesn't have the right magic, but can generate a QR code trivially during setup. [8:45] <[Saint]> Possible, yes. But I would be wary of calling it "living". [8:46] <[Saint]> In the short times he's not tethered to a massive machine. [8:46] <[Saint]> One of the many reasons I have a DNR. [8:50] <[Saint]> Poor guy looks young enough to possibly need a second in later life. [8:50] <[Saint]> Assuming he gets the first. [8:50] <[Saint]> Though I understand heart transplants are more robust now than ever before. [8:51] <[Saint]> We can generate virtually unlimited blood products out of thin air now too. [8:52] <[Saint]> Though its still more expensive than conventional means. [8:54] <[Saint]> For you, perhaps. For me, its 1853 tomorrow. [8:54] <xreal> how can I list all the groups in my debian? [8:56] <[Saint]> xreal: *all* the groups, or all the groups your user is part of, or all the groups of a specific user? [8:56] <xreal> oh, there is! [8:57] <[Saint]> It shouldn't be required. [8:58] <[Saint]> SO no biggie. [8:58] <xreal> I am getting mad, really. [8:59] <[Saint]> Its dishwasher safe. [8:59] <[Saint]> Its a glorious original Model M! [8:59] <xreal> with "click" ? [8:59] <[Saint]> I've had it for almost 15 years now. [8:59] <[Saint]> Silence is not something the Model M undrstands. [9:00] <xreal> how often did you have to replace a spring? [9:00] <[Saint]> I haven't had to. [9:00] <[Saint]> These things are indestructable. [9:01] <[Saint]> xreal: possibly silly question - are you sure the IP hasn't changed and its not another machine rejecting the connection? [9:02] <[Saint]> Its happened to the best of us. [9:05] <xreal> [Saint]: I'm logged on the VPN. [9:07] <[Saint]> Well. Nevermind that thnen. 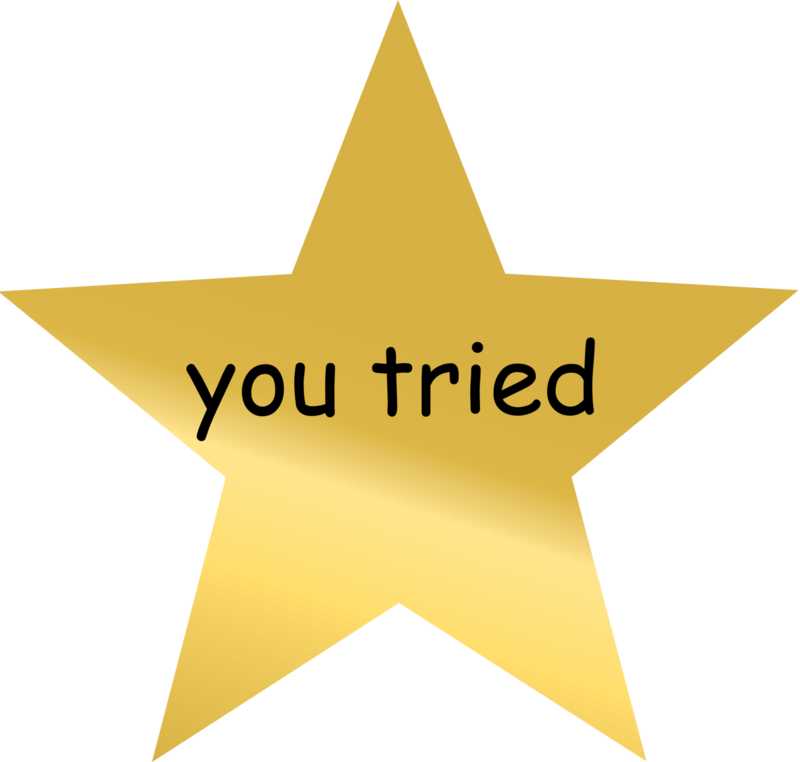 [9:08] <stasdizzi> Hello, after the update, stopped working GUI asterisk FreePBX. [9:10] <stasdizzi> PHP Fatal error: Call-time pass-by-reference has been removed; If you would like to pass argument by reference, modify the declaration of logfiles_highlight_asterisk(). [9:41] <abhvym_> when i dd image to sdcard do i get persistent raspbeian ? [9:51] <[Saint]> abhvym: I'm struggling to understand what it is you are asking. [9:55] <abhvym> [Saint], as shown on raspberry documentation i burn raspbeian.img to sd card using dd. now i boot into raspberry. now i do apt-get install vlc. now i poweroff raspberry. now i again boot into raspberry. will i have my vlc there inside? [10:28] <TheHacker66> xreal: u there? [10:31] <xreal> Damn, I've bought a 16 GB SDHC card. I should have better bought a fast USB stick/dongle. It's faster on raspberry, isn't it? [10:38] <TheHacker66> what distro do you have? [11:31] <skunx> Hi folks, I have a problem setting up a wifi connection from a raspberry to open AP. With a pass protected wifi works fine, but not with an open one. (i'm using raspbian) Any hints? [12:03] <abhvym> in terms of cpu and memory usage which is light? vlc or xbmc? [12:03] <abhvym> need to run a udp multicast video server on raspberry. [12:03] <abhvym> vlc is taking 100% cpu all the time. [12:14] <abhvym> TheHacker66, not on internet. only in local network. without internet. [12:15] <abhvym> TheHacker66, which media server should i use on raspberry? [12:15] <abhvym> which will not kill cpu. [12:35] <abhvym> verkgw, what are minidlna upnp dlna? [12:35] <abhvym> how can i stream a .mpg file on them in a lan. [12:36] <linuxstb> abhvym: upnp/dlna is a standard for streaming media clients and servers. [12:36] <abhvym> linuxstb, any lightweight software i can use to do that? [12:36] <linuxstb> minidlna is a good suggestion. [12:40] <verkgw> so your client is another PC? [12:46] <linuxstb> abhvym: Basically, you point minidlna at a directory (or directories) on your Pi, and then the client will automatically discover minidlna on the network and present you with a list of files you can play. [12:47] <abhvym> linuxstb, client should play it automatically. i will give it ip. at each boot. [12:48] <linuxstb> abhvym: Maybe you should start again by saying what you want to achieve. [12:51] <abhvym> linuxstb, i will have one raspberry pi. i will have any number of regular desktop pc. all in same LAN. raspberry will act as video streaming server. all the deskop will listen to raspberry and play that video stream in sync on their own screens. i done it with vlc. but vlc take 100% of cpu. [12:52] <linuxstb> abhvym: Then I don't think you want minidlna - that is just unicast streaming, with the client requesting things to play. [12:53] <TheHacker66> abhvym: kinda like airplay eight? [12:53] <abhvym> dont know what is airplay eight. [12:53] <abhvym> linuxstb, anything will do. i just want something lightweigt for raspberry. [12:54] <abhvym> TheHacker66, yes. but on multiple tvs. and in sync. [12:54] <linuxstb> abhvym: Perhaps the issue is that you're using vlc wrongly - e.g. asking it to transcode when you don't need/want it to. [12:56] <linuxstb> Does that work OK? [12:56] <abhvym> TheHacker66, and thourgh a computer. not directly to tv. [12:56] <abhvym> linuxstb, it works. vlc is taking 100% cpu. that is the issue. [12:58] <abhvym> TheHacker66, that takes 99.99% cpu. [12:59] <abhvym> TheHacker66, sorry. wrong statistics. [13:29] <winlu> while we are on media issues, is anybody interested in helping me test a simple media center application i wrote in python3 for the rpi? I am mainly interessted in enduser feedback to help smooth handling. [13:36] <linuxstb> winlu: What does it do? Is it a front-end to omxplayer? [14:16] <gordonDrogon> it might be that I can't see it on the breadboard though. [14:16] <gordonDrogon> motors can generate a bit spike of electricity in reverse when you turn then off - that's what the diode is there for - to let it flow through the motor without it blowing up the transistor. [14:25] <gordonDrogon> go for it. [14:26] <gordonDrogon> you can simplyfy your circuit a little if you want to. [14:26] <gordonDrogon> Remove the diode. and the R1/R2 combination can just be a single 1K resistor in the R1 position. [14:27] <gordonDrogon> You do need a resistor in-series with the LED though. [15:58] <skybound5> Good day, all. [15:59] <takkie> good day to you too. [16:01] <skybound5> I have watchdog running, which I assume may be initiating the reboots; but why would a stock cron job hang the Pi? [16:04] <skybound5> hmm, intentionally you think? [16:04] <takkie> dunno, see what scripts are there. Also, what OS are you running. [16:10] <skybound5> could it be the "run-parts" portion of that command? [16:10] <skybound5> wtf is run-parts? [16:12] <takkie> not sure if it's the cronjob. [16:14] <IT_Sean> then it is likely not the script itself causing the reboot. [16:15] <takkie> what else is there in journalctl? [16:16] <FearTec> skybound5 do you have a good brand SD card? [16:16] <takkie> not sure if rasbian uses it, but try "journalctl" in terminal. Also, check dmesg. [16:18] <FearTec> Also have a solar powered fan on it durin the day for good measure. [16:18] <FearTec> skybound5 maybe underclock by 200mhz and see if that helps? [16:19] <skybound5> Is underclocking common with Pis ? [16:19] <IT_Sean> your raspi does not need a heatsink, or a fan. [16:19] <FearTec> Common in PC's when troubleshooting. [16:19] <oakkitten> can i somehow restart the pi anyway? [16:20] <skybound5> what are you wanting to know about in their FearTex? [16:20] <FearTec> skybound5 youc an change arm_freq=800 to arm_freq=700 or arm_freq=600 to underclock. [16:21] <skybound5> oh snap, maybe my watchdog threshold is too low ? [16:22] <FearTec> mine says "gpu_mem=128"
[16:22] <skybound5> do you run with desktop environment? [16:23] <skybound5> seems like a waste then, no? [16:24] <FearTec> My pi is in a shed on the other end of a wifi extender and ethernet over power run running 2 cameras (one security and one a test camera), also testing circuits via a pirack. [16:24] <FearTec> im still learning. [16:54] <xreal> TheHacker66: r u there? [17:05] <risu> is there a way to make watchdog ensure that certain files are updated reliably? [17:05] <Serus> Does anybody have a set of commands I can copy paste? [17:06] <Serus> will that also remove the dependencies? [17:07] <[Saint]> Raspbian is a rather poor choice for a headless distro. [17:10] <risu> [Saint]: why a poor choice? [17:10] <[Saint]> Well - maybe I'll rephrase it as "an overweight choice". [17:11] <[Saint]> Humdreds of MB of stuff you'll probably never use in a headless situation. [17:17] <[Saint]> I won't bother removing packages from raspbian, nuts to that. I'll just start with an image that doesn't include these bits from the get go. [17:18] <[Saint]> Arch, custom Arch image, or any one of the myriad of raspbian netinst images out there. [17:21] <Serus> Can you still use the GPIO interface from your arch install? [17:29] <xreal> TheHacker66: Still no SSH, but VNC. [17:47] <xreal> TheHacker66: Nope. You can press "ESC" to get to terminal. [17:47] <xreal> So everything is fine. [18:33] <xreal> TheHacker66: doesn't help. [18:37] <takkie> xreal: you're having ssh troubles, but able to use vnc? Can you check /etc/ssh/sshd_config with it? 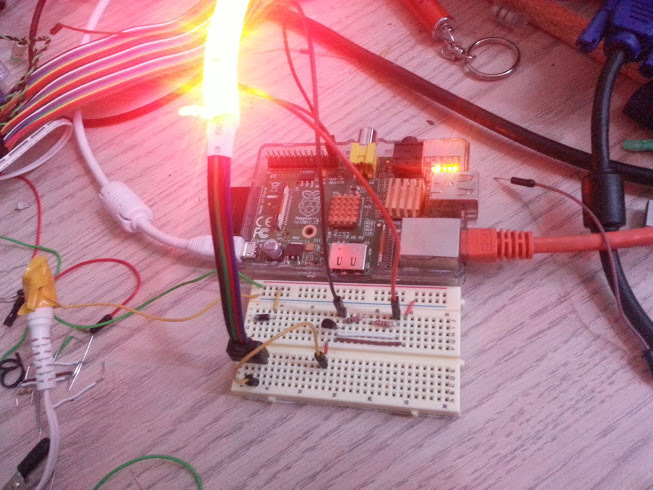 [18:40] <Ecoste> Hey guys, the RPi follows the acceptable TTL gate output signal levels, right? [18:41] <xreal> nope, didn't work. [18:41] <Ecoste> mgottschlag: So, from 2V to 3.3V would be considered high? [18:42] <xreal> takkie: I didn't set anything. [18:42] <gordonDrogon> Ecoste, it's a 3.3v device. [18:43] <gordonDrogon> put more than 3.3v into it and you risk the magic black smoke escaping. [18:43] <xreal> you know what? I'll do it the hard way. [18:43] <takkie> xreal: also, after each change in sshd_config, do "systemctl restart sshd"
[18:43] <gordonDrogon> if feeding it 5v then do it via a resistor divider. [18:43] <Ecoste> gordonDrogon: Oh yes, I'm just making a voltage divider and wanted to know how low I can go. [18:43] <takkie> xreal: why would you lose dropbear? [18:44] <takkie> dont you want it for xbmc? [18:44] <xreal> takkie: never had problem with openssh_server. [18:44] <takkie> not that i know of, but you've installed raspbmc for a reason, right? [18:45] <xreal> takkie: dropbear is just an alternative to openssh_server. [18:46] <xreal> takkie: doesn't wheezy have "service" anymore? [18:47] <takkie> not since a while. [18:47] <xreal> takkie: I liked it in squeeze, "service" was easy to remember. [18:50] <takkie> xreal: systemctl asumes you are talking about a service. [18:51] <xreal> takkie: okay, openssh-server installed. [18:54] <xreal> die, dropbear, die! [19:12] <takkie> GrayShade: make sure you have no netctl active - "systemctl disable netct..."
[19:14] <takkie> GrayShade: so there's no output on "systemctl list-units | grep -in netctl" ? [19:17] <takkie> any leads in any log? [19:20] <takkie> it's good practice to have time & date in good sync. [19:20] <gordonDrogon> the gpio pins? [19:21] <gordonDrogon> they're all normally free. [19:21] <gordonDrogon> unless you're using I2C, SPI or serial. [19:21] <gordonDrogon> until you load the kernel modules. [19:22] <gordonDrogon> although serial is already present and in-use, but it won't stop you using them. [19:25] <gordonDrogon> lots more people use Python which doesn't normally use wiringPi. [19:25] <gordonDrogon> so for them, it wouldn't be any different. [19:25] <beaky> theres an official python lib for the raspberry pi? [19:25] <gordonDrogon> nothing is "official", but a module called RPi.GPIO is as official as it can be. [19:27] <Serus> but who wants python when there is a language that can compute most of your program at compile time and replace all calculations with constants? [19:28] <pronto> for people who already know python? [19:29] <takkie> GrayShade: i've looked here and there on the interwebs, but cannot help you. Sorry. [19:33] <beaky> serus: wow what langauge can compute my pi firmware at compiletime? C++ templatemetaprograming? [19:34] <Serus> it can't compile everything at compiletime of course, but a LOT can be computed. [19:35] <beaky> pi supports c++11? [21:18] <Tech1> and what is the dev-type OS that has I2C already enabled? 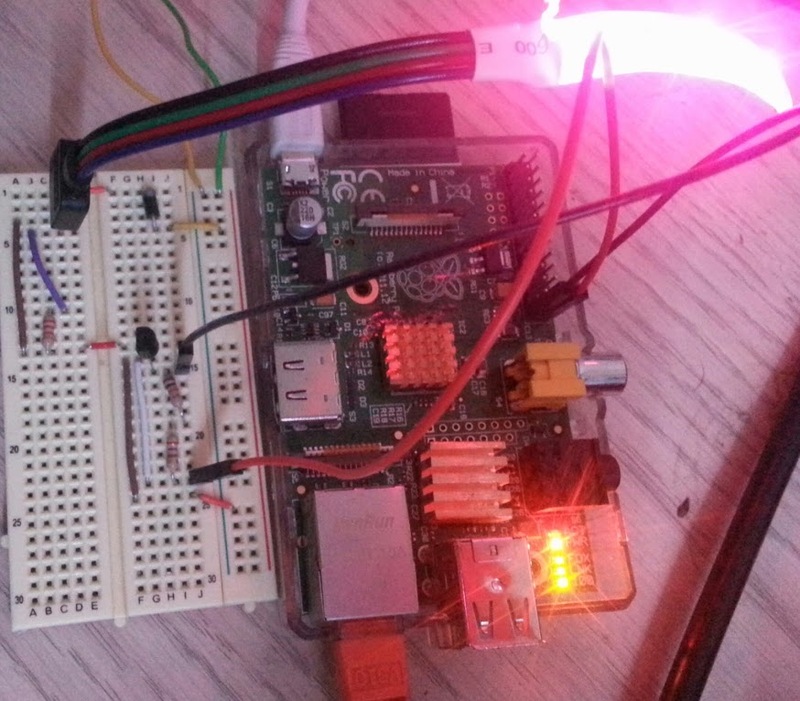 [21:37] <CharlieBra7o> I am trying to set up SPI between RPi and a MSP430 microcontroller using wiringPiSPI lib but for some reason it only writes and reads random values :| anyone got experience with SPI? [21:48] <Encrypt> Has anyone of you information about how to create a block peripheral? [22:03] <gordonDrogon> do you have a terminal/serial access to the 430? [22:04] <gordonDrogon> print out the data at both ends - make sure there isn't an endian or bit-order issue. [22:05] <gordonDrogon> no way to debug programs on it? [22:07] <gordonDrogon> the wiringPiSPIRW code just dumps your data down the SPI bus - there's no real magic to it - the main issues I've seen are endian and bit-order. [22:12] <gordonDrogon> I don't really know anything about the MSP430. I thought it was a little programmable microcontroler - I guess you can send it commands via SPI? 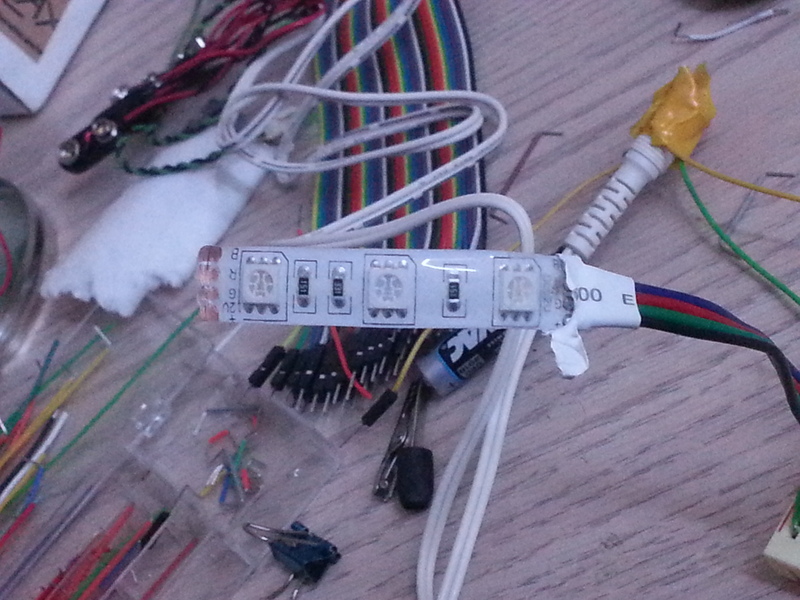 [22:16] <CharlieBra7o> it should work with 3-wire-spi, right..? [22:53] <gordonDrogon> you really need CS - that's how the target device knows when the master is sending. [22:54] <gordonDrogon> its the only way to synchronise on the first clock edge. [23:06] <CharlieBra7o> gordonDrogon: Do you know how to change CPOL/CPHA on the RPi? [23:07] <TheHacker66> has anyone ever tried running x86 progs on the pi with qemu? [23:33] * [Saint] struggles to understand how a raspi is "the ARM equivalent of a 300 MHz P2"
[23:34] <[Saint]> If anything, its a mid 00's era cellphone without a screen and sensors. [23:35] <CharlieBra7o> gordonDrogon: is it somehow possible to use the RPi as SPI slave? [23:35] <[Saint]> 2010? Crap no. [23:36] <[Saint]> Well, maybe one of the myriad of lowend devices Samsung keeps pushing out. [23:36] <[Saint]> "but Doom has been ported to just about every platform known to man"
[23:37] <[Saint]> Doom on your iPod or Sansa, or Gigabeat, or <other_rockbox_supported_non_charcell_device>? [23:42] <[Saint]> On some of the more restricted devices I play with, I run the /system image off an sd-ext partition.